KEY FEATURES: Unique breath-triggered dose-opening function. Patient-friendly design, with 3 simple steps to operate: Open, Breathe In, Close (OBIC). 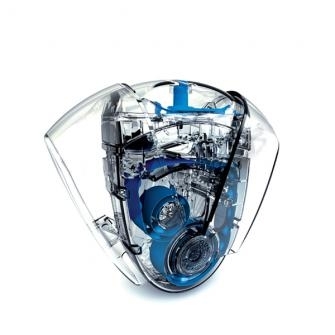 Powerful dispersion engine generates high and consistent performance. User feedback of dose taken with highly legible visual dose counter and audible click. PRODUCT CHARACTERISTICS: Contains 30 individual doses in separate sealed blisters for optimal moisture protection. Minimal dependence of product performance on airflow. Patient-preferred style. Filled on industry standard high speed filling equipment.